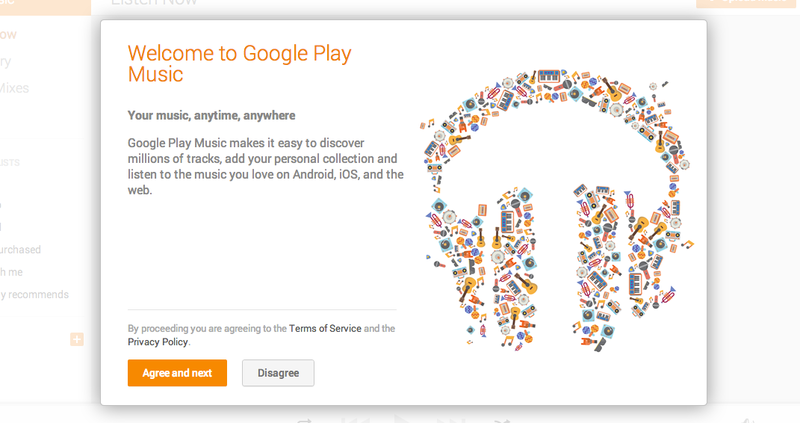 Happy day, folks – Google is giving away 60 days of Google Play Music All Access to certain users, as well as all current owners of a Chromebook. 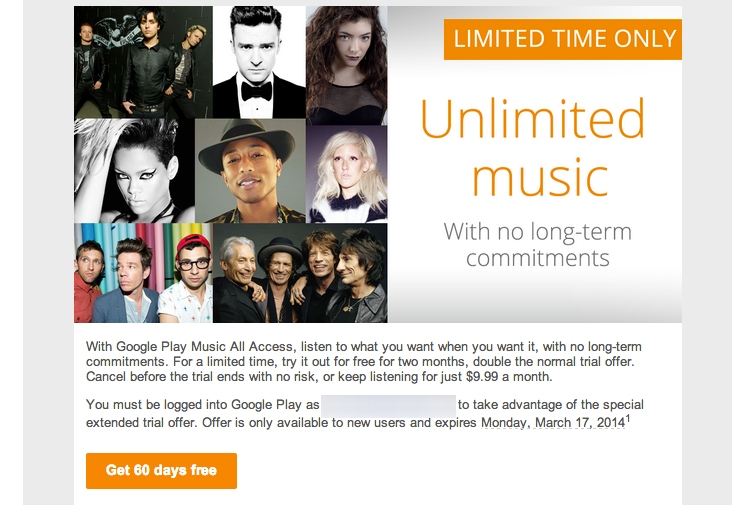 If you have yet to sign up for All Access, the music service that allows users to access millions of on-demand tracks for $9.99 a month, you may see an invite hit your email inbox offering you 60 days of the service for free. Before this deal, users were only given 30 days of the service before having to pay the monthly fee, but Google has been generous and doubled the trial amount. Could this be in response to Samsung’s Milk Music? Beats Music? Who knows, but we’ll take it. If you are already on a Chromebook, and are reading this, you can redeem the offer by following this link.